The Locust Grove Campus maintains a reputation for educational excellence. In addition to the core subjects, technology, information literacy, career education, wellness and writing are integrated into the curriculum along with a strong fine arts program (music, art, drama). Nurturing teachers create a fun, safe environment for learning at Locust Grove. But school must be more than fun, nurture and enrichment — parents expect academic excellence in core subjects such as reading, writing and mathematics. In addition to these and other core subjects that are listed in the Curriculum section of this website, technology, information literacy, career education, wellness, and writing are integrated into the curriculum along with faith and character development. Along with academic instruction, Christian teachers, coaches, administrators and staff model Christ’s love to students and incorporate Christ’s teachings into the classroom and daily work. 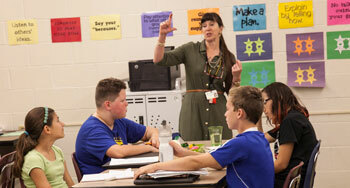 The elementary program emphasizes foundational skills, habits and knowledge for success in middle school and beyond. Classes are self-contained, except for physical education, music and art, which are taught by specialists in classrooms devoted to those subjects. At LM, music and art are an integral part of the curriculum and reinforce learning in many other subject areas such as history and geography. Locust Grove teachers take time for individual instruction and nurturing, starting in the early grades. Our PreK program is designed to create a secure and nurturing environment that develops a love for school and a love of learning within the context of a real school environment. Experiencing a regular school-day schedule and a regular school environment better prepares students for going to a real school for kindergarten and first grade. LM offers the option of up to five full days of PreK per week. Kindergarten is also a full-day program. Before and after school care is available. Middle school (grades 6-8) provides a gradual transition into high school. In addition to excellent academic, athletic and social opportunities, all LM middle school students experience spiritual formation as they study the Bible, participate in devotions and attend chapel. Locust Grove middle school students have performing arts and athletic opportunities in conjunction with Lancaster Mennonite Middle School and Lancaster Mennonite High School. 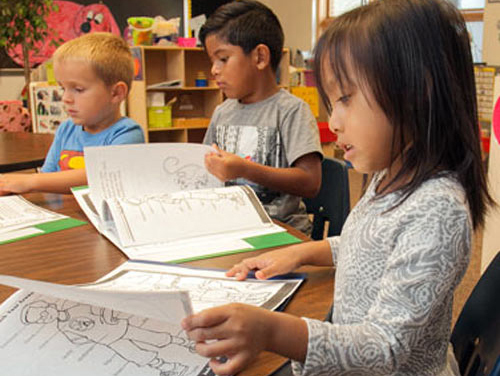 Our full-day kindergarten classes help students develop a love of learning in a nurturing environment. 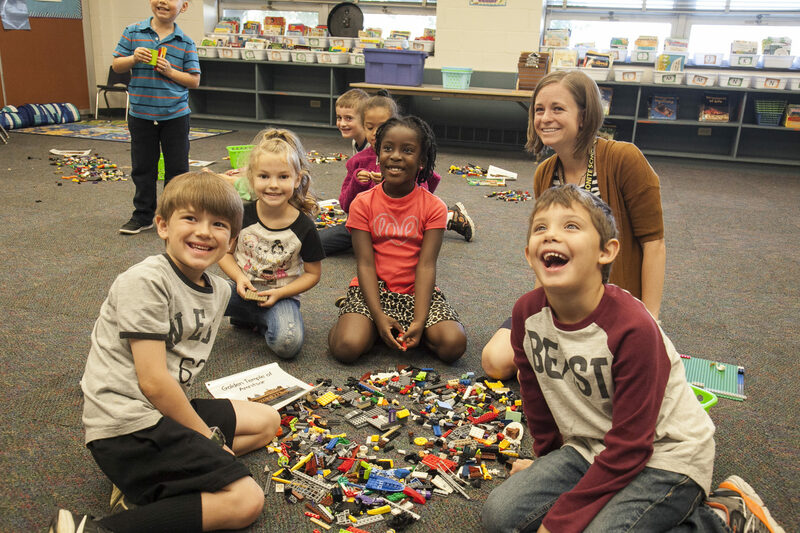 Our kindergarten is a success-based program that teaches academics with developmentally-appropriate practices and prepares children to flourish in first grade. Kindergarten is offered up to five-days per week with the option of a three-day or four-day program. Additional days offer additional opportunities. 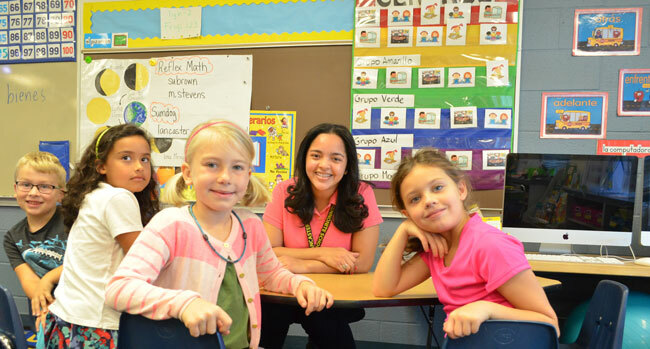 Locust Grove is one of the few schools in Lancaster County that offers the option of Spanish Immersion at the elementary level. 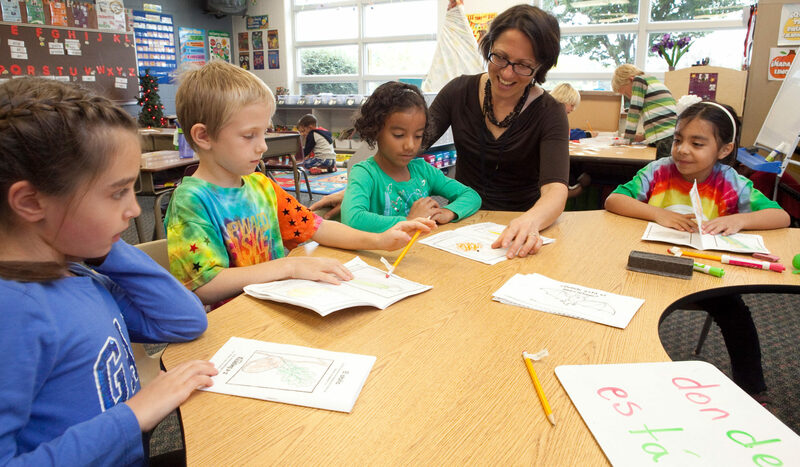 Students enrolling in Spanish Immersion more quickly and thoroughly learn the Spanish language. Students develop proficiency in the language by hearing and using it in regular subject areas rather than by studying the language by itself. Learn more about Spanish Immersion.